Kenya McKnight, the founder and president of the Black Women’s Wealth Alliance, is passionate about teaching money management, home ownership, and business development skills to other black women. Kenya McKnight is the founder and president of the Black Women’s Wealth Alliance (BWWA), a public-benefit corporation based in North Minneapolis, driven by its desire to support black women as they make, save, and invest their money for long term financial prosperity. Since 2014, BWWA has served over 1500 black women, most recently in its Fall 2018 Wealth Academy which sought to teach practical wealth building skills and address financial trauma in a group of over 50 women. As far as McKnight knows, BWWA is the only company of its kind in the country. Historically, black women like Ella Baker, Ida B. Wells, and Fannie Lou Hamer were at the forefront of the movement for economic justice for Black women, but “in this modern time, we are it for now,” she said. This month, McKnight talked with North News about her fear of gentrification and why supporting the financial health of black women is critical to creating equity in society. Why is it important for black women to have an advocate like you? What stands between black women and an equitable share of wealth in our society? Nationally, the net worth of a single black woman is $100. It’s virtually zero for black women with children. The stability of a black women is important for the overall stability of the black community. Because children are normally concentrated with their mothers, it’s very important that they have stability financially so that the children are more stable. In our community here in MN, nearly 80% of black women are the primary breadwinners in their household despite marital status. Yet 35% of the jobs we hold are concentrated in low wage occupations which indicates that we have tremendous financial responsibility yet are not making enough money to sustain ourselves nor build long term wealth. We’re seeing how that’s impacting our communities. We’re an untapped and undervalued asset. We’re America’s entrepreneurs, leading new business start ups, but despite that we are not driving business success. We receive the least loans from lending companies, banks, and nonprofits. We have one of the lowest home ownership rates in the state and currently are being evicted from rental properties in Minneapolis at a higher rate than all groups according to an eviction study done by CURA, a research branch of the University of Minnesota. As many equity efforts that are out here, as much money that has been put out here, it still somehow has not reached our community in a profound way to really move the dime for Black Women. I’d argue that it’s because there isn’t a clear pathway specific to our economic progression. 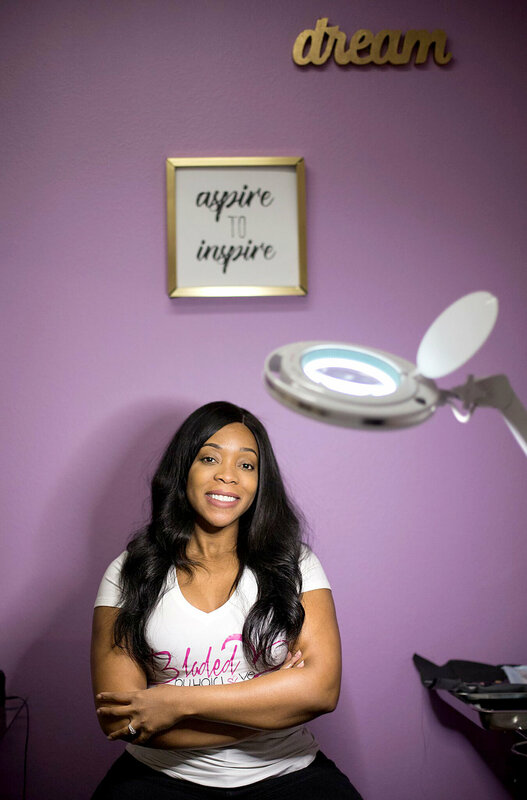 Taquisha Jallah has a successful IT career, in addition to owning and operating her own business selling high quality hair extensions, and as a state certified and licensed cosmetic tattooist (microblader). She joined BWWA’s Wealth Academy after seeing an ad on Facebook. Through the academy, Taquisha says she has been introduced to a surplus of resources; including her financial adviser she and her husband have continued to meet with regularly. “A lot of time in the black community, we don’t have that generational wealth. We don’t have any generational wealth to pass on to our children and our children’s children. That’s the cycle we need to break,” she said. She says McKnight has created an incredible platform specifically for black women in Minnesota. “Many times we don’t get the same resources that exist in some of the bigger cities like Atlanta and Chicago. [Kenya] heard the cry and did something about it.” Jallah joined the academy hoping to make connections with other black businesswomen. The experience far exceeded her expectations. “I wasn’t expecting nearly 100 black women from different walks of life in Minnesota to come together in love and unity, but that was exactly what happened. There was no confusion, no strife, no hating. People think that when black women come together that there will be problems, but to my delight there wasn’t. We supported each other and rooted to see each other excel," she said. What are some of the pathways black women can take to build wealth? Although we don’t individually have enough income to really build wealth that we personally need, in the larger scheme of things, we are the financial influencers in our communities and possess the power collectively to have a significant economic impact in building wealth. Nationally, black people have more than a trillion dollars in buying power which is primarily controlled by black women. When you understand what wealth is and the different tools you can use to build it, then you can find your path to it. For black women who work jobs, it can be about looking at your employee benefit package to ensure it supports your vision to build wealth. Black women entrepreneurs, it can be building business credit and IRA accounts. It starts with a vision, financial planners can be helpful, building skills, budgets and the discipline and commitment to invest in your future. We also have to address our financial trauma which we incorporate in our framework and strategies at BWWA. There is a long history of financial trauma that resulted in financial dysfunction in our community. A larger part of it is tied to white violence toward black economics and black economic progression which impacts how we, at times, operate today. Was there a lightbulb moment that led you here? For the last eight years of my life, I have worked in transportation planning, finance, policy and community engagement. I was the first black person to serve as a [Met Council] appointee to the transportation [advisory] board which allocates millions of dollars across the region for transportation projects. It’s a lot of money; they’re making big decisions. It's long range work and the plans are 30-50 years out. In that work is where I discovered one of my greatest fears. Gentrification is clearly happening. I can see how unprepared my community is, and it’s scary. The system will invest in its plans to see it through. You have white businesses that are aligned with these plans to get these resources. Our community is stuck in a crisis mode, unaware that these plans even exist and often come into the community input stages. I decided to return to my roots to further ground myself in helping to better prepare my community for the long range by focusing on wealth building. Jamiela Taylor is an athletic coach, educator and mentor on the Northside who currently works at TRI-Construction. As a co-tenant in the same building with BWWA Headquarters, “Coach Jam” sparked a conversation with McKnight. The impact was immediate and within 48 hours, Taylor was attending one of BWWA’s home ownership classes. Upon completion of the class, the Coach Jam joined the Wealth Academy. “Women are caretakers; sometimes we get lost due to multitasking and day-to-day responsibilities,” she said. Financial acumen is “a matter of survival.” Generational wealth and long-term planning are concepts that BWWA teaches. Taylor is also instilling that concept to her daughter and other community youth. Why is BWWA a for profit organization and not nonprofit given your mission-based work? This community seems to be the capital of nonprofits in Minnesota, which at times impede on the self-sufficiency and prosperity of our community of individuals. When everything around you is free and people do everything for you, it doesn’t really foster self-sufficiency. The existing resource system also does not support people who are striving to maintain their self-sufficiency. The leadership, the decision making, the framework, the narrative about who we are and what our priorities are and how we operate comes from a nonprofit paradigm which greatly serves poverty opposed to prosperity, this is very unique in some ways to us, which I think is actually wrong. Our people need a little space to breathe and be self-sufficient. White communities operate differently and have greater prosperity. There has to be a balance; BWWA seeks to serve prosperity in the black community from an asset paradigm while recognizing the economic challenges. We are black female entrepreneurs from the very community we work in. Our community needs more entrepreneurial leadership, shaping the narrative, leading, teaching and building. Topé Daniel is an entrepreneur who runs a home healthcare company and is launching an entertainment and production company called IMURTAL. She participated in the BWWA’s Wealth Academy in 2018. 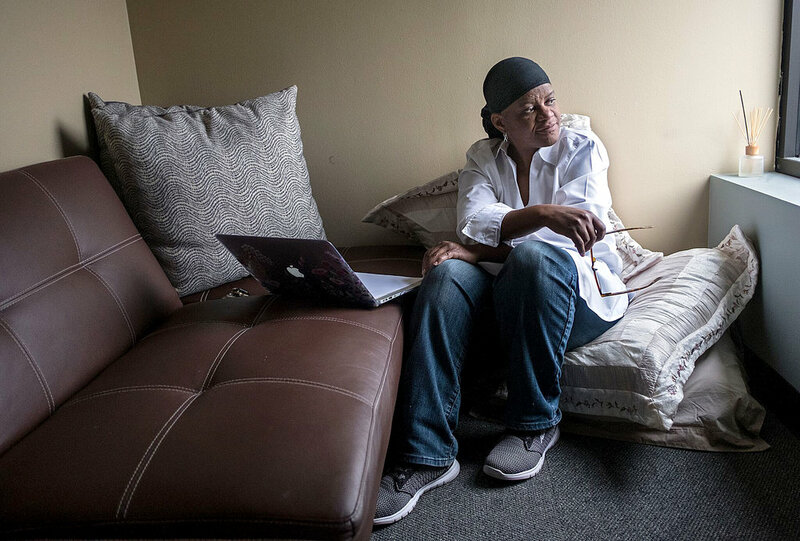 She says she had grown increasingly frustrated by being seen as “doing too much” in her push for people to listen, to see, and to address the disparities in generational wealth and how the black community was being left behind. BWWA created an atmosphere where Daniel was able to comfortably grow more into her own power, while being surrounded by other ambitious and supportive black women. She says being around women who shared her professional motivation and were “aware of the need for financial education, health and wellness,” through BWWA was validating. She says that, coupled with the educational resources and tools that BWWA provided them access to, was "priceless." Daniel gained key insight into ways to successfully grow her current company and carry out her newest business venture. She is now better equipped to pass along valuable knowledge. “Information is so key to success and building wealth. When we don’t have that, we suffer,” she said. What’s one hope you have for the future of North Minneapolis? I want to see us diversify our development investments and be proactive in our thinking around that. Instead of just fighting for low income housing as a strategy to secure housing for black people, we should be advocating for quality housing for black people. We are not all low income. I want to see an environment that supports lower middle class black people. My greatest hope is North Minneapolis coming together to build a collective vision for the future of the Northside. It has to come from and be led by the people who are here. We have ideas and know a lot about what we need. I’d love to see us come together in a lot of different sessions to build out and execute our future. Not just participating in the City’s comp plan, Met Council’s plan, the County or State plan, but our own Northside plan.